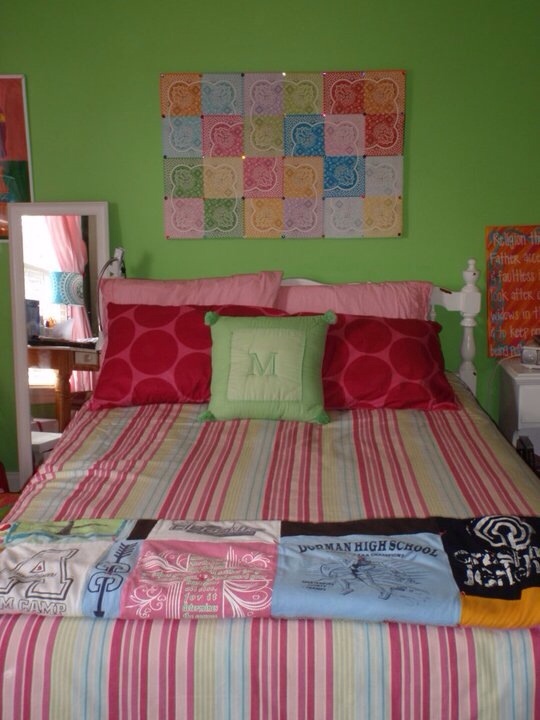 Seven years ago we moved into this house and I let my, then 14 year old daughter decorate her room. Can you say bright?! It was perfect. She was able to display every little knick-knack paddy whack her little heart desired. It perfectly captured Mary Claire’s personality, sweet, fun, perky, and full of life. 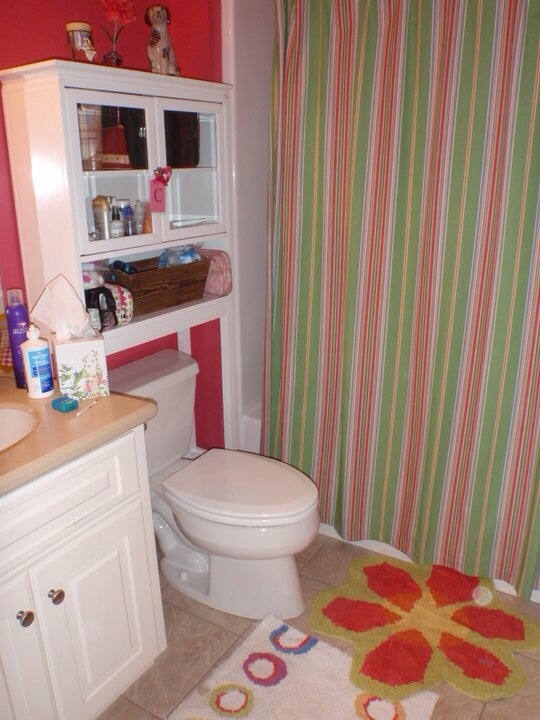 The bathroom was painted a super energetic pink. In fact, it was so pink, you couldn’t really put your make-up on in there, because you would never know what the end result would be…clown? Well, here we are in 2014 and my little girl is graduating from college. I have been wanting to update her room for a while now. Mary Claire just wasn’t quite ready, until about a month or so ago when she gave me the green light! Woo Hoo! There are so many cute ideas out there, where do I start? I knew I wanted a calm, relaxing room for her or a guest to retreat in, and also keep some of MC’s identity in it. I made myself a Pinterest board collecting ideas that made me happy. 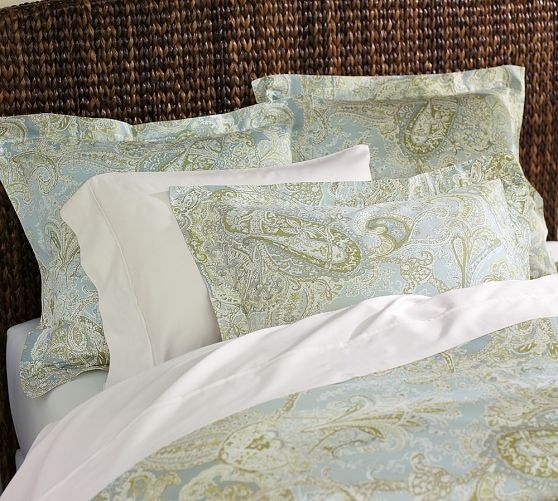 Pottery Barn is always a good place to begin with bed coverings. I found this one at the PB Outlet store. I fell I love with the soothing colors. 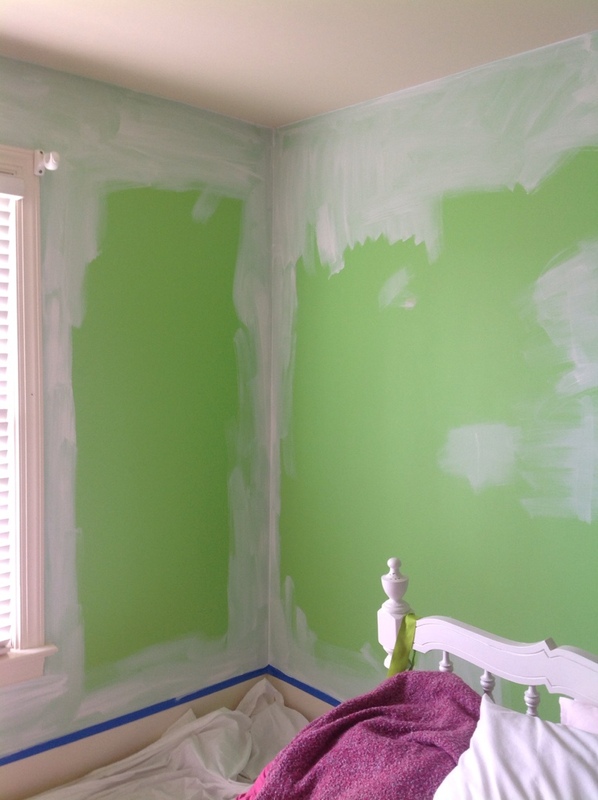 Next, the wall color. 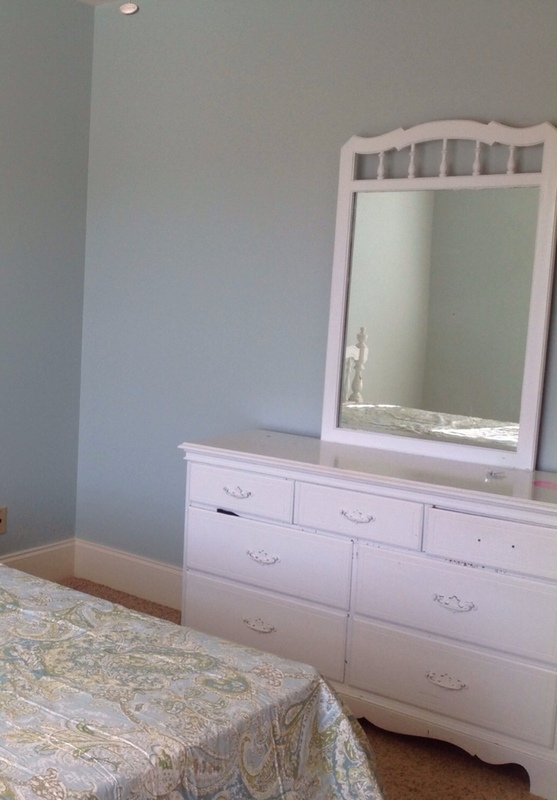 I found many pins on Benjamin Moore’s “Palladian Blue” and how depending on the time of day, it can go from looking blue to grey to green. Many people commented on it being their favorite color. 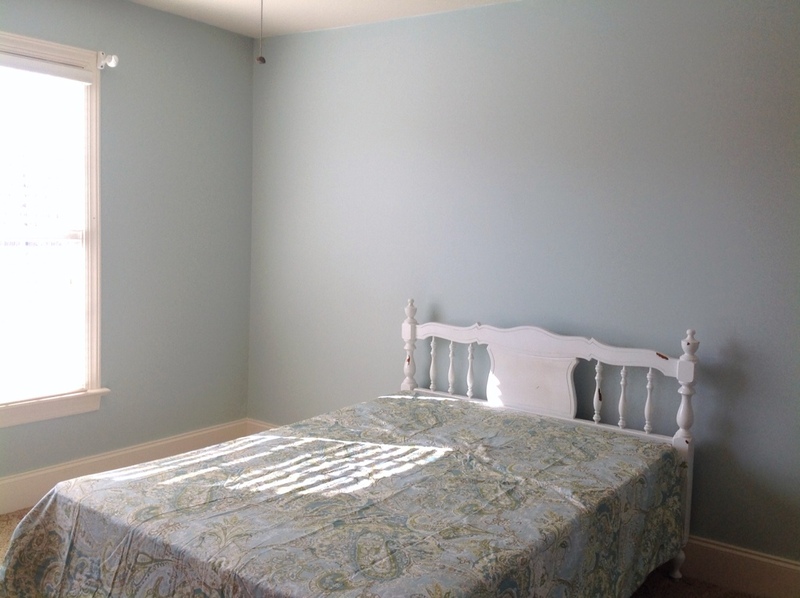 I took the duvet to Sherwin Williams and had it matched up for the wall color. I came home with lots of primer and cans of “Rainwashed-6211”. 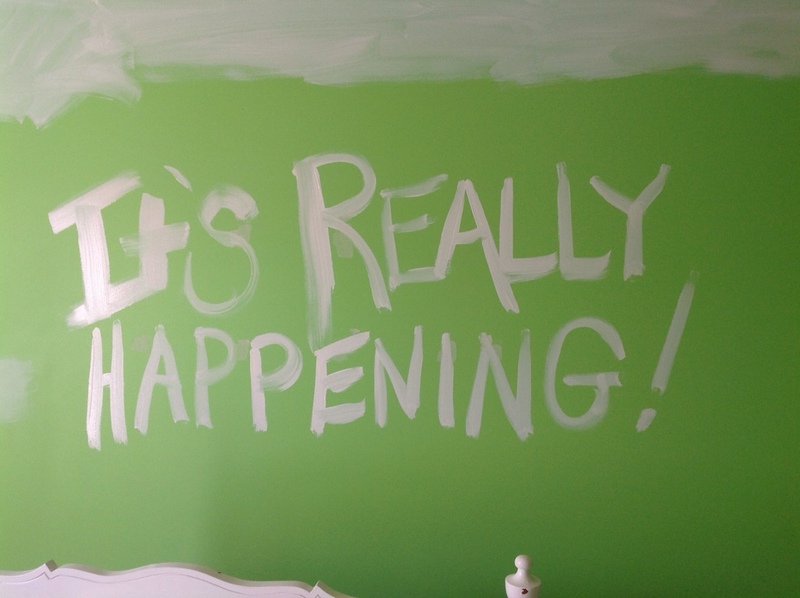 Can I say that I couldn’t wait to slap some paint on the wall? But, Yes, it was really happening! After hours of taping off the windows, trim and ceiling in the bathroom and bedroom, a coat of primer, several coats of wall color, up and down the ladder more times than I can mention, it was done. Not having a professional camera and good lighting, the beautiful color just doesn’t show through here. When I was finished painting, I would sit there on the floor and breathe. Yea. Just breathe and smile. This color made me feel good. 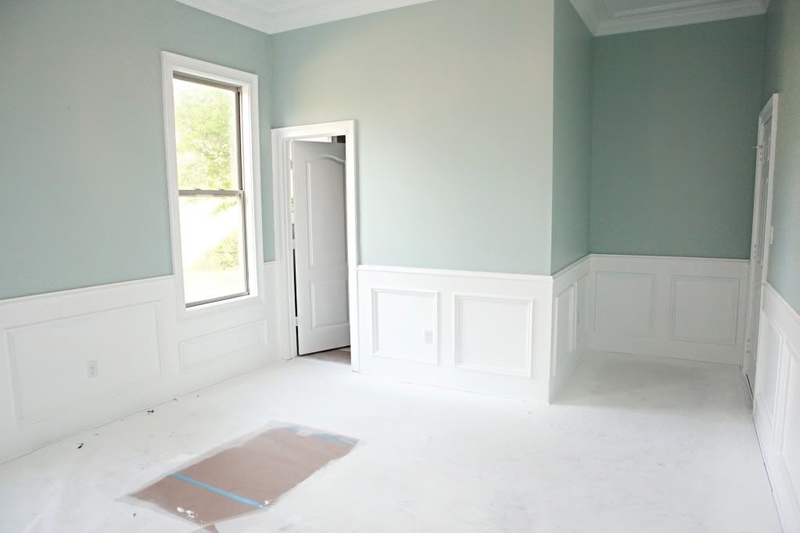 The next step in this transformation was going to be painting the furniture. Stayed tuned until next time folks! 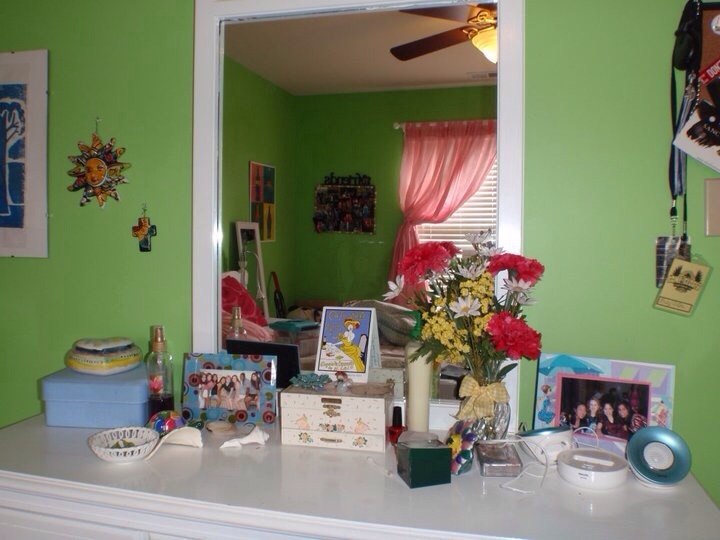 Posted on April 21, 2014 by mary •	This entry was posted in Home and tagged bedroom, paint, redecorating, young woman bedroom. Bookmark the permalink.